Impeachment was clearly the word of the day, so let’s talk about it. It is freighted with anxious connotations for many Americans, who remember the tumultuous end of the Nixon administration in August 1974 and the national mood at the time. From a capital markets perspective, it was also a grim period. The S&P 500 fell 26% in 1974, tagging on to a 14% drop the prior year. 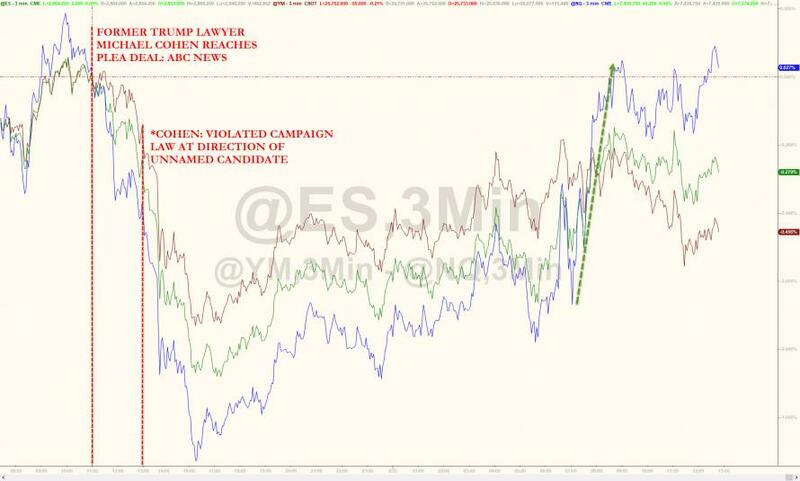 That memory casts a long enough shadow that S&P futures dropped +10 handles yesterday afternoon after the Cohen/Manafort convictions on fears the US is doing a slow motion tumble into a political crisis. That US stocks recovered yesterday is a good reminder that 2018 is not 1974. Recall that the country entered a deep recession in 1973 on the back of much higher oil prices (caused by a shooting war in the Middle East and Saudi embargo) and a weaker dollar (which ended a global system of fixed exchange rates). Now, we have 20% earnings growth in 2018, a good economy, low/stable interest rates and a rising dollar. From a macroeconomic standpoint, things are very different indeed. Still, we have little doubt that a political event on the scale of a presidential impeachment would roil markets until the issue was resolved. Consumer confidence would likely take a hit as Americans engaged in a spirited national debate on the topic. Business investment might slow as managers took a wait-and-see approach to political developments. Whether this would cause a 5% pullback in US stocks or more is as unknowable as the exact timeline of how all this might unfold. 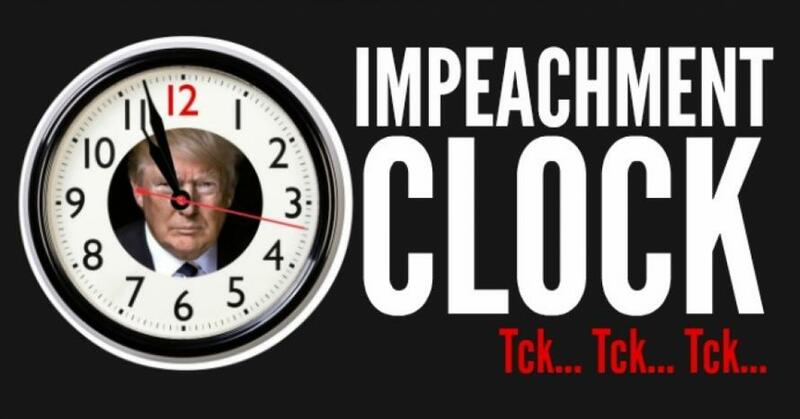 Impeachment doesn’t mean President Trump is out of a job. The House, which PredictIt users believe Democrats will control in 2019 (66% odds), could technically impeach the president but the Senate (76% odds Republicans hold) could still acquit him. That 45% is an all-time high, likely in response to yesterday’s news. At a few points during the day it was actually over 50%. While interesting, we take the PredictIt platform predictions with a grain of salt. Less that $7,000 of wagers pushed that mean impeachment trade over 50/50 and there are only $84,000 worth of bets outstanding. 55% said “No”. This is greater than the 51% “No” responses at the start of 2018. Responses split along gender lines, with 65% of men saying “No” as compared to 46% of women. The youngest age cohort in the survey (18-34) is even on impeachment (48% “Yes”, 48% “No”) while every other age group skews “No” (56%). 65% of self-reported Democrats do want their party to start impeachment proceedings. Independent voters – the sort that swing elections – reply “No” (53%) more than “Yes” (42%). Over the short term, markets will likely ignore political headlines in the same way they did yesterday. This isn’t 1974; there is plenty of positive corporate and economic news to buffer equity prices from small shocks. It will take a decisive outcome to the Mueller investigation to swing general US public opinion towards the “Impeach” camp. As controversial as President Trump may be in some circles, and even after all the headlines of his time in office thus far, more than half of Americans do not want their representatives to impeach him. In the end, we don’t worry much about this issue from an investment perspective regardless of what happens in Washington DC over the coming months. Aside from a panicky drop on nasty sounding headlines (which we will tell you to buy), all this will run its course. Anticipated corporate earnings and interest rates drive stock prices, and nothing else. For those clients who disagree with our take, we have one word: Treasuries. These should rally if a political crisis takes deep roots and hobbles consumer and business sentiment.